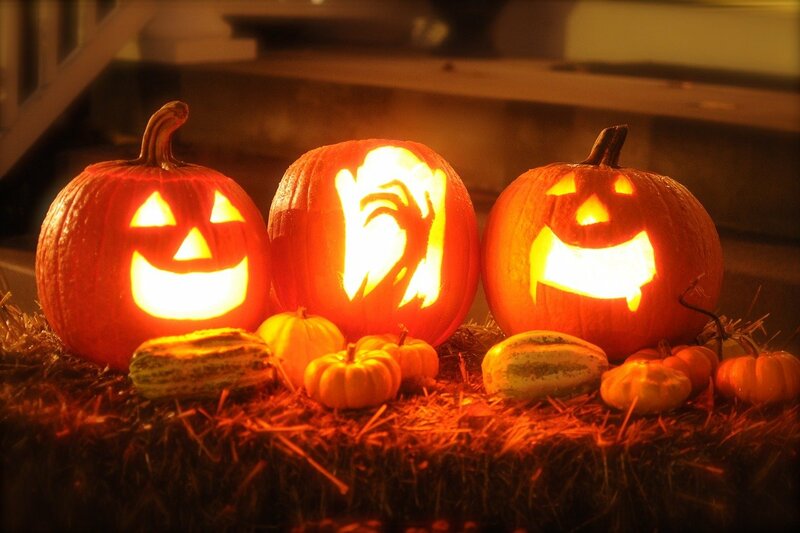 Now that Halloween is behind us, lots of people are thinking about what is next for their Jack-O-Lantern creations. Hopefully you have already enjoyed the treasures inside your pumpkin: roasted pumpkin seeds, pumpkin soup, pumpkin pies and many more food delights. Did you know that you can even dry the peeled pumpkin skin to make a crunchy nutritious snack. Some great recipes here including adding pumpkin flesh to smores… yum! Once your carved pumpkin has been sat on your porch for a few days we really wouldn’t recommend eating it! But you can still compost your pumpkin and your bokashi compost bin will love it. Break up your pumpkin into 1-2″ pieces. You could do this with a knife but you could have more fun! Drop it from a high window or balcony (making sure the route down to the ground is clear!) or use a hammer to smash it to pieces. Or come up with your own inventive ways to destroy your shriveled pumpkin…. start a new Halloween tradition in the process. 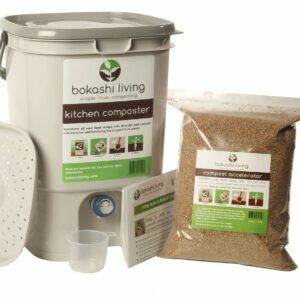 Add to your bokashi kitchen composter. Add 1 or 2 heaping tbsp of bokashi bran for every inch layer of pumpkin pieces you add. 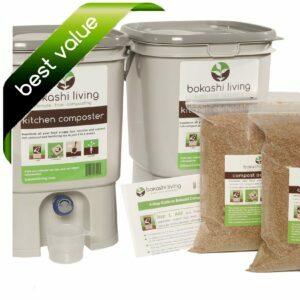 Squash down the food waste in your bokashi kitchen composter to remove any pockets of air. Replace the lid and return to gorging on Halloween candies. Your pumpkin can also be added to your traditional compost pile, worm bin or placed in your curbside organic collection bin. Help! What to do with all the Halloween candy? I often go out of my way to make sustainable and healthy choices. I am a long way from perfect but I try! And I know I’m not alone in this group. Trick and treating is just one of those times of year where I am pulled in two opposite directions. Part of me wants to lock myself away and never see any of those fun-sized sugar loaded candies wrapped in plastic and part of me wants to run from door to door with them to share the fun and smiles. You guessed it, being a Mum won over and I let my children join in trick-or-treating! Ronald MacDonald Houses: Ronald MacDonald Houses act as homes away from home for children (and families) going through various medical treatments. Local dental surgeries. Many local dentists have started accepting Halloween candies. Other programs have been set up to send candies to troops overseas such as this one. Compost it. Treat the candies as food waste and simply add them to your bokashi compost bin. The candies and chocolate will all break down and make compost for your garden. The bokashi microbes will love the extra sugar! next year`s Halloween candy bowl. Get creative with your candy wrappers. Coloured, see-through wrappers make great spectacles. Other coloured wrappers can be great additions to children`s collages. Or take on the challenge yourself; the internet is rife with ideas from candy wrapper purses to buttons, bowls and dresses. Recycle your candy wrappers. London Drugs (in partnership with Terracycle) used to have a candy wrapper recycling program; although this has since stopped. However, there are still options for recycling candies with Terracycle. Another option here in North Vancouver is WCS Recycling on Dominion Street near the Second Narrows Bridge that will accept all of your laminated soft plastics for recycling.